Last December Noel reportedly turned down a whopping £20million to reunite with brother Liam for an Oasis world tour. The volatile and tumultuous brothers had a notorious backstage bust-up in August 2009 during the V Festival in Paris, and the two went their separate ways with Liam forming the Beady Eye band with former Oasis members Gem Archer, Andy Bell, and Chris Sharrock, while Noel embarked on a solo career and then formed Noel Gallagher's High Flying Birds with Mike Rowe, Jeremy Stacey, Russell Pritchard and guitarist Tim Smith. However rumors of reunion were fuelled again and fan speculation ran high when on the Oasis official Instagram account was posted along with a montage of their videos with Liam and Noel together with the message: "26 Feb - 9am" and on the band’s Twitter account there was a picture of an album spinning on a record player. However some fans were highly disappointed and very vocal to learn this morning that there will be no reunion, but only a remasterized version of Definitely Maybe to celebrate the band’s 20th anniversary. lilliGxx tweeted: ‘Do Oasis not realise we’re in the 21st century, no one buys CD’s anymore if onlyyyyy it was a tour,’ while a certain Jimmy Kay was much more upset and posted : ‘Shame on you!! Getting die hard fans all excited! Nobody gives a hoot about some remastered albums!! We wanted 100k people at Heaton park screaming OASIS OASIS OASIS!!! Then Cigarettes and Alcohol blasting out! Total let down! 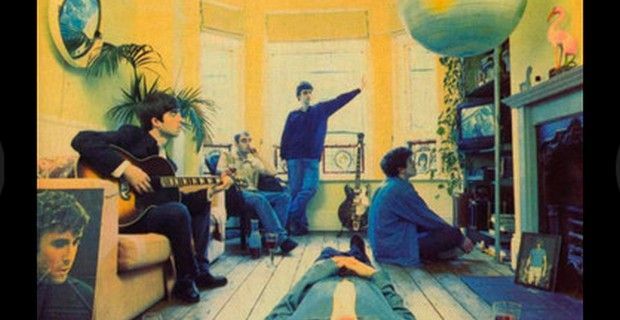 Definitely Maybe will be re-issued on May 19th, but it will also include rare demos, and live recordings and will be available as a CD and digital download, as well as a three-disc special edition version. The band will also re-issue a replica of their debut 12 inch single Supersonic on heavyweight vinyl to coincide with this year's Record Store Day on April 19. Also available to order now from www.oasisinet.com on cassette for a limited period only is a replica cassette of their original 1993 demos, handed out by the band before Oasis were signed and only eight copies of the original demo tapes were made, and Definitely Maybe producer Mark Coyle has written new sleeve notes for this release.